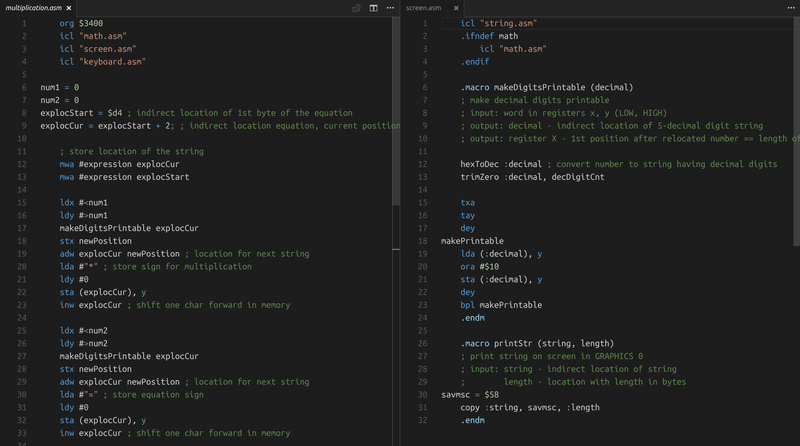 Visual Studio Code>Programming Languages>MADSNew to Visual Studio Code? Get it now. It provides syntax highlighting for MADS, powerful multi-pass cross assembler designed for 6502 and 65816 processors.